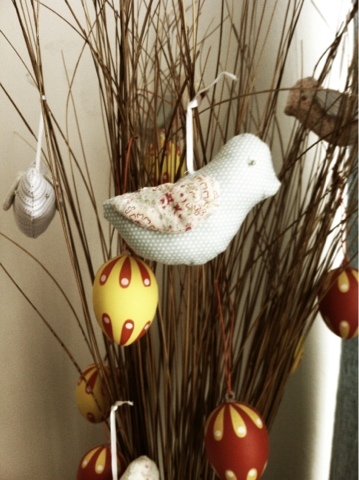 Much to my husbands dismay this year we once again have a Easter Tree in our house. My husband is not a fan of decorative things like this and the whole idea totally baffles him but i love it! I am your Gid Save The Queen swap partner. I am fairly new to blogging so wasn't sure how to contact you.